Worry About Being Watched, Monitored Or GPS Tracked And Positioned? We live in a high-tech era and come into contact with varies people every day, we need to learn to protect ourselves and our loved ones. We also need to take some measures to protect our privacy. For example, Hotel, Locker room, Senior meeting room, Car, Government, etc. 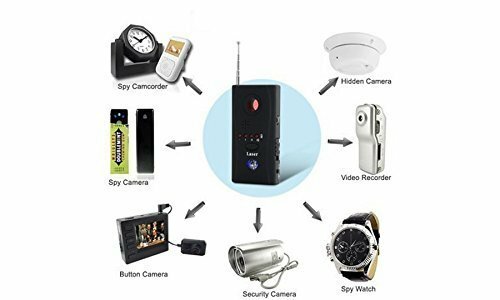 This Anti-spy Detector can accurately detect the position of Hidden Cameras, Audio Bugs and GPS tracking within a few minutes through the RF frequency detection. It can effectively prevent eavesdropping, candid photos and personal privacy leaks. MULTIPLE DETECTION MODES - 1. Laser Detection 2. Vibration (Mute) Detection 3.Beep Detection 4.Led Display Detection 5. Headphones. This device is awesome! It is small and easy to use. When I tested it out, it worked very good. You got what you pay for. This thing is awesome! Works great and easy to use, so I went ahead and ordered a second one for a friend of mine. Good quality, the appearance is very stylish. 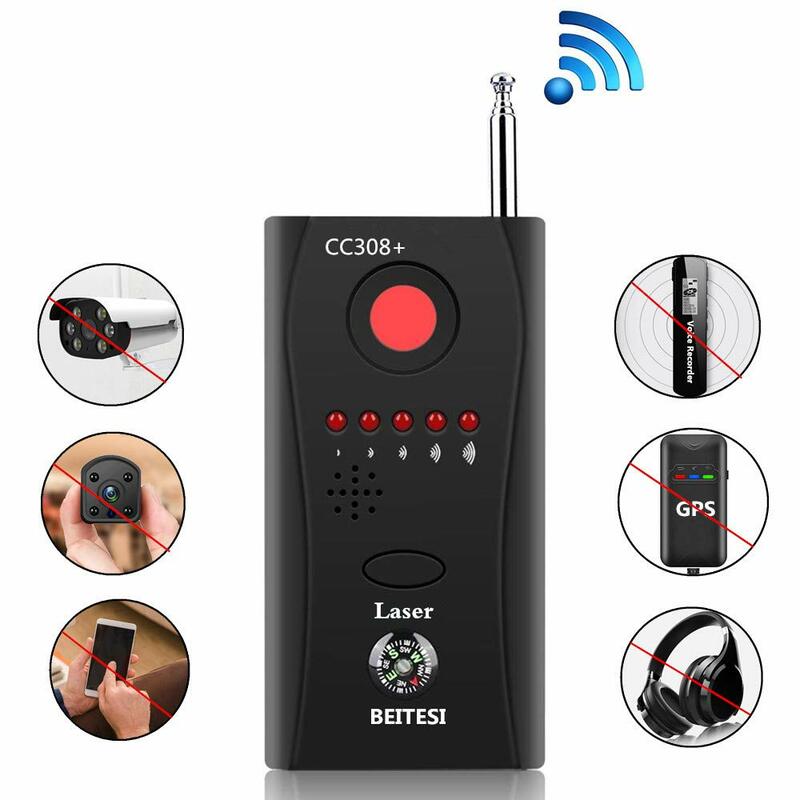 Operation is relatively simple, high sensitivity, the detection effect is very good, no longer have to worry about the safety of living in the hotel. Very satisfied with the purchase.